Biomodd has an active presence in London, UK, through the Biomodd London Community and Biomodd London Chapter. The Biomodd London Community is a loosely-knit group based in London who have participated in a Biomodd London project in the past, working on a current Biomodd London project, or who are simply interested in the Biomodd framework. Anyone can find our Facebook group, and everyone is welcome to join. The Biomodd London Chapter is formed of individuals from within the Biomodd London Community who organise Biomodd projects in the London area. We imagine plants and technology in symbiosis, where mutual learning happens through exploration, making and play. Claude Oprea is a certified Permaculture designer and facilitator and member of the Permaculture Association. He teaches Permaculture design courses, runs workshops in schools, foraging walks in the city as well as acts as consultant for projects like Terra Perma in Montreal, Canada. Claude is also a healer and owner of Bear Hands Holistic Massage and plant artist, having created immersive large scale plant installations at Glastonbury Festival of Contemporary Arts and at Boomtown Fair. 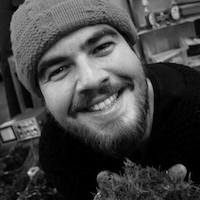 He is passionate about creative approaches to big themes such as dealing with computer waste, growing food in urban environments with Permaculture ethics and principles, creating and sustaining community in London and being off grid. Claude originated Biomodd in London and co-led Biomodd [LDN5] at TEDX London City 2.0. 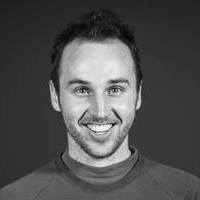 Louis Rutherford is a Community Development, Circular Economy and Permaculture Consultant supporting clients such as Arcola Energy and Independent Means. In 2015, he graduated with an MSc/Dip in Urban Regeneration from the prestigious Bartlett College, UCL. Whilst completing his studies, he was awarded the Santander Universities Community Contribution award and was a finalist in the Mayor of London/Siemens Low Carbon Entrepreneur Prize. He is a Director of several London-based sustainability projects including The Gaia Gallery zero-carbon event space, the Cob in the Community natural building practice. He is passionate about creating innovative, fun and engaging spaces to address issues around climate change and communities. Louis co-led Biomodd [LDN5] at TEDX London City 2.0. Aistė Saulytė is a photographer, urban food grower and community activator. All her work is tied to her passion for local and organic food production and improving the food system through grass-roots movements and initiatives. As a multidisciplinary advocate with a strong interest in alternative education methods, she loves getting to engage with people in an educational, creative and collaborative effort to combine art, technology and nature. She is currently working as a community gardener at Abbey Gardens in Newham and writes articles about food growing, environment and sustainability for Connected Roots and Indie Farmer, as well as The Wild Network - a project encouraging and providing opportunities for children to spend more time connecting with nature. Aistė holds a BA in Politics and International Relations from Queen Mary, UoL and is studying for the RHS Level 2 Principles of Horticulture qualification. 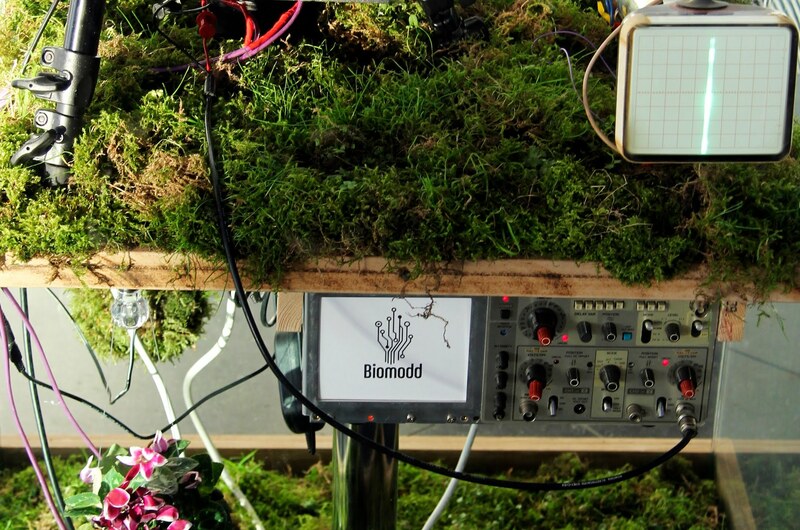 Aistė participated in Biomodd [LDNW]. The London Chapter is supported by SEAD, an interplanetary network of multidisciplinary individuals working in art, science, engineering and advocacy, led by space systems researcher, biologist, artist, community architect, and TED Senior Fellow Angelo Vermeulen. Biomodd London Chapter has been invited by Hampstead School to craft a Biomodd experience for their year 7 students. We are proposing an experiential, multidisciplinary and cross-curricular approach to learning where we invite the pupils to participate as co-designers for a mutual teaching and learning experience. We aim to discourage competition and to encourage and enhance a co-creative process where each individual pupil, regardless of their skills and abilities, can feel inspired to explore and play with the core themes of Biomodd London, the connection between humans and plants, technology and gaming. The series of workshops will encourage the individual learner to contribute within a group and stimulate them to achieve their full potential in a safe environment. We will learn about play, games and gaming from each other. In doing so we hope to show how the modern world is producing e-waste and how that is problematic for our futures. We learn how our individual actions contribute to the problem, before coming up with creative solutions as to how to fix this. We will learn about plants and their need for growth, their importance and role in our lives, as well as their ability to combat pollution and create healthy environments. Most importantly we will learn about life and the world, our role in it and how to work together to create something bigger than the sum of our individual parts. Biomodd London Labs we want to set up social enterprises inspired by exploring and re-imagining the use of e-­waste (computers and other bits of tech), Permaculture and urban farming - food security in the city (cardboard to caviar idea, fresh food production, algae production - farms for nutrient dense food, bio fuel, and oxygen), bio re-mediation, bio mimicry (using mycelium and other living organisms as co-designers) and renewable sources of energy. We are looking for a building/location in need of regeneration. Preference goes for an area in need of regeneration, where we can truly make an impact. Commercial building that can accommodate 6 live/work modules plus workshops/labs and food growing space.